144 per bag. Using rounded projectiles instead of rough rocks will prolong the life of your sling shot band's pouch. 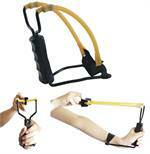 This powerful slingshot folds down to a compact size. It has over 100 yard range. Light aluminum frame and split leather pouch. Features Rubber tubing and release pouch. 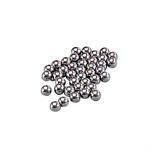 30 Pcs Slingshot Metal Ammo. 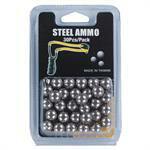 Featuring solid steel ammo provides hours of sling-shooting fun.